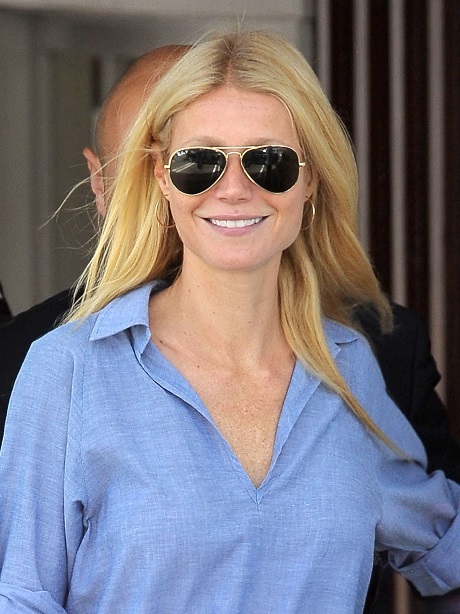 Gwyneth Paltrow Claims She Can Alter The State Of Water Molecules With Her Negative Energy – Complete Idiot? Oh jeez. We’ve already gotten Gwyneth Paltrow, author, and Gwyneth Paltrow, the relationship advice expert. Now we’re about to get Gwyneth Paltrow, the pseudo-science physicist. Apparently, according to Gwyneth, you can change the molecular structure of water by being ‘mean’ to it. I kid you not, that’s what she said. Look, I don’t want to go ahead and says this is all nonsense. For all we know, water could respond to positive and negative energy, much the same way some plants respond to positive and negative stimuli. However, with that being said, there is simply no way in hell that yelling at water or being nice to water is going to make a lick of difference. It’s water, not a living thing. Expressing feelings at it isn’t going to make a damn difference, and it’s hilarious that Gwyneth’s actually spending her time and effort looking into being ‘nice’ to water. Because ‘mean’ water is bad for you? Is that what she’s trying to imply? Seriously, this is the woman who claims that she has it sooo much harder than regular working moms, and that she has to juggle soooo many things in her life. And yet, she has time to go to lectures about being nice to water? First of all, didn’t she just get divorced? Shouldn’t she be more worried about her family and her children? Second of all, this is the kind of nonsensical crap that Gwyneth routinely wastes her time on, and we know that thanks to Goop. What’s next, a treatise about spinning jewelry into existence by showering love at metal? Gwyneth Paltrow Sexualizing Young Girls While Promoting New Bikini Line? Farrah Abraham, Reese Witherspoon, Gwyneth Paltrow: Worst Moms in Hollywood! Gwyneth Paltrow and Chris Martin Back Together To Hide Evidence Of Their Cheating and Open Marriage?